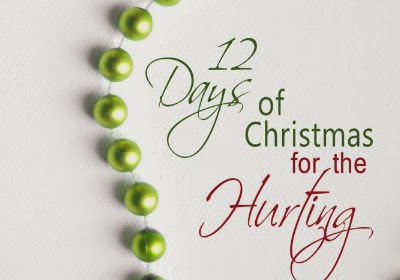 12 Days of Christmas for the hurting is a daily devotional, inspirational book designed to encourage hurting hearts during the holiday season. The author speaks from her own experience of loss and heartache. Each day unfolds a gift given to us by God- the True Love who sent His Son to be the Savior of the world. Whether you have lost a loved one, experienced failure, or for whatever reason you are hurting, the reason to celebrate the season is the gift of life Jesus gave to us and the gifts He daily provides. Excellent book!! HIGHLY recommend this one!